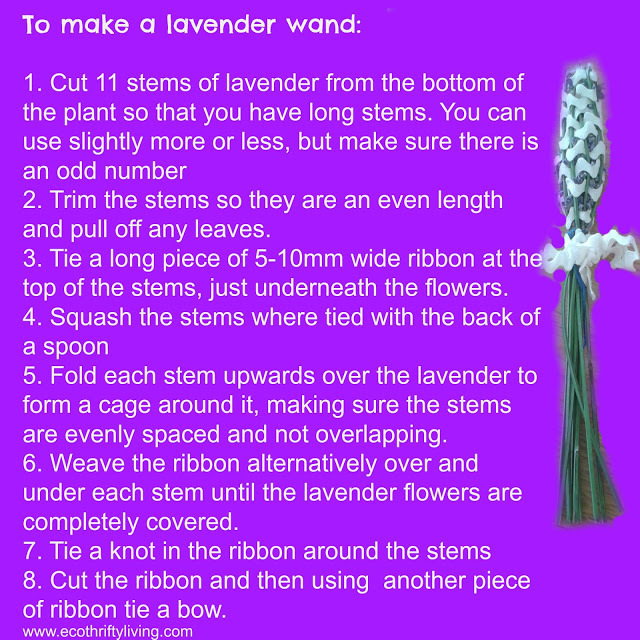 Lavender is in season and I have loads of lovely fragrant lavender growing in my garden right now. 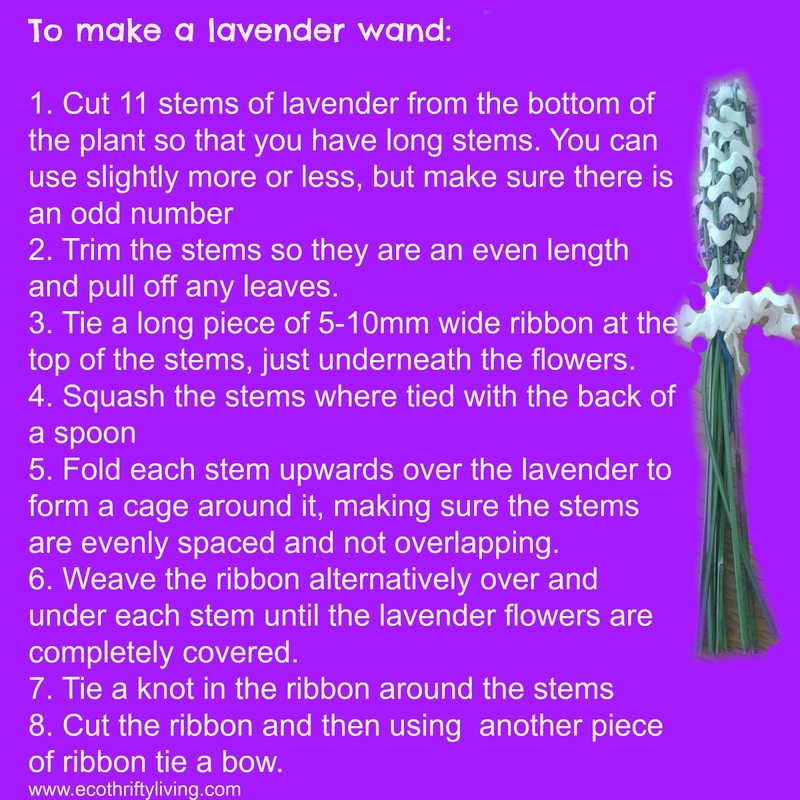 There are many uses for lavender, but my current favourite is to make lavender wands. I don’t use them for casting spells – I use them to keep my clothes smelling nice (but if you or your kids want to make one for casting spells, don’t let me stop you :)). It is really simple, doesn’t take long and they make great gifts! This entry was tagged eco, Frugal, gifts, Green, grow your own, plastic free, thrifty, zero waste. Bookmark the permalink. ← Mmm a nice relaxing bath of cucumbers and courgettes!